Franfurt, Germany:12th December 2013 – The ninth edition of Plastivision 2013, organised by All India Plastic Manufacturers’ Association was inaugurated in Mumbai today by Mr. Indrajit Pal, Secretray (Chemicals & Petrochemicals), Department of Chemicals & Petrochemicals, Ministry of Chemicals and Fertilizers in the presence of Mr. Avinash Joshi, Jt. Secretary, Petrochemical Division, Ministry of Chemicals and Fertilizers and Saif Mohammed Al Midfa, CEO, Expo Centre Sharjah. A mega 5-day plastic show with over 1500 exhibitors from India and overseas countries are displaying their latest technology and innovations in the plastics industry. Plastivision India is spread over 75,000 sq. meters area covering 9 halls is expected to attract over 1, 25,000 business visitors from India and leading countries of the world. The show is having dedicated pavilions like Indiamold, Plastiworld, Plastics In Agriculture, Automation & Robotics in Plastics Pavilion, Green Pavilion, Solar Energy Pavilion and Plastics in Medical Pavilion. One of the areas where more attention was focused is bio-degradable plastics. The Union government is considering Technology Upgradation Fund (TUF) for the plastics industry. This was stated here this morning by Mr Indrajit Pal, secretary of the Department of Chemicals and Petrochemicals, while inaugurating the 9th Plastivision India 2013 show. Mr Pal also said that “India has emerged as a preferred center for establishing manufacturing facilities for plastics goods and that Plastivision 2013 would give impetus to plastics exports from India. He further mentioned that the Plastics Industry is growing rapidly and is expected to touch 20 billion dollars by the end of 2020”. Mr. Avinash Joshi, joint secretary in the ministry, on this occasion said that the petrochemical industry is playing a key role in the development of the economy and he felt that this exhibition will create a new era for plastic industry. The secretary and joint secretary of the Ministry emphasized the need for early steps to remove the negative image of the industry just because of small problem of carry bags. 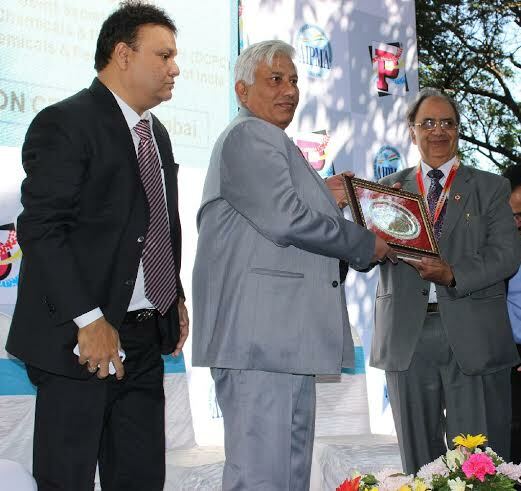 Mr Raju Desai, added Chairman NEC PVI-2013 said “One of the factors that indicate the country’s impending growth in the plastics industry is our per capita consumption which is the lowest in the world. The scope of reaching an augmented level of consumption remains certain due to the inevitable nature of plastics and its incorporation in everyday life spoke about the excellent opportunity that the fair provides for all those industries that are connected with plastics and tremendous prospects that it would create”. Some of the highlights of the Plastivision India 2013 day 1 are live demonstration of machines for moulds, packaging, printing and product. Plastivision India 2013 would be the 9th edition of the trade fair that is organised by AIPMA. This event is held at Mumbai at the interval of every three years. Over the years, Plastivision India has become a flagship event in India and is on the calendar of plastics industry worldwide. Plastivision India 2013 would be the biggest in the series so far and would be held on 12-16 December. Plastivision India 2013 would witness participation by over 1500 companies from India and 30 other countries. The trade fair would be held in area spanning nearly 70,000 sq. metres and expect visits by over 100,000 core businessmen and other key stakeholders. 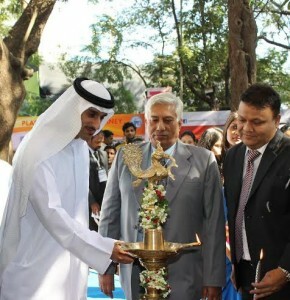 Plastivision India 2013 would be the biggest trade fair held in the city of Mumbai.